Butterball Foodservice introduces three new products, now available in distribution. Butterball Just Perfect® HandCrafted All Natural Oven Roasted Turkey Breast, Butterball Just Perfect® HandCrafted All Natural Browned in Oil Turkey Breast, and Butterball Just Perfect® HandCrafted Petite Roast & Serve Turkey Breast were created specifically for menu versatility and growing interest in healthier protein options. 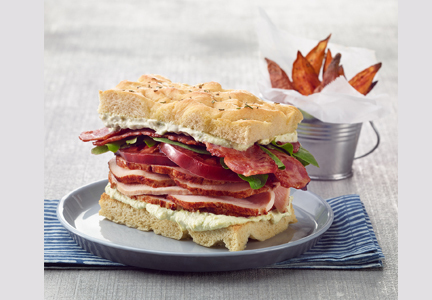 Naturally gluten free and trans fat free, the turkey breast products are ideal for carving applications, entrées and sandwiches. Both the Oven Roasted and Browned in Oil varieties of Just Perfect® HandCrafted All Natural Turkey Breast have water, sea salt and sugar as the only added ingredients. Healthful and delicious, these ultra-premium Butterball Turkey Breasts are packaged as two eight-pound, pan-shaped breasts per case. The new Butterball Just Perfect® HandCrafted Petite Roast & Serve Turkey Breast is a smaller, hassle-free version of the popular Butterball Just Perfect® HandCrafted Roast & Serve Turkey Breast. The compact size is uniquely suited for less waste and quicker roasting times. 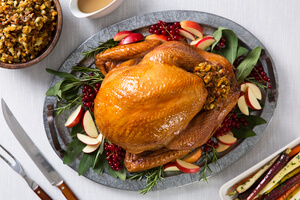 Fully cooked and skin-on, the single lobe turkey breast is made for cooler-to-oven convenience to deliver freshly roasted turkey in under an hour. Lower in sodium, the breasts also can be topically seasoned or glazed, allowing operations to create their own signature meals. Available in four, five-pound breasts per case. For more product information and menu inspiration, visit www.ButterballFoodservice.com. 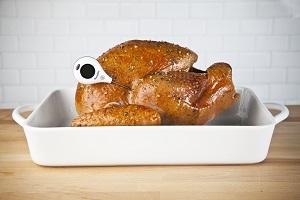 For more than 50 years, Butterball, LLC has been a leader and innovator in the turkey industry. Headquartered in Garner, N.C., Butterball is the world’s largest vertically integrated turkey processor. 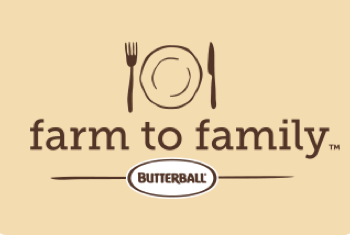 As a division of Butterball, LLC, Butterball Foodservice is committed to responsibly supplying the highest quality products with the highest level of customer service. Butterball Foodservice gives chefs and operators even more reasons to love turkey with great-tasting products and menu ideas patrons love. For more information, visit www.ButterballFoodservice.com. Find us on Facebook and follow us on Twitter.